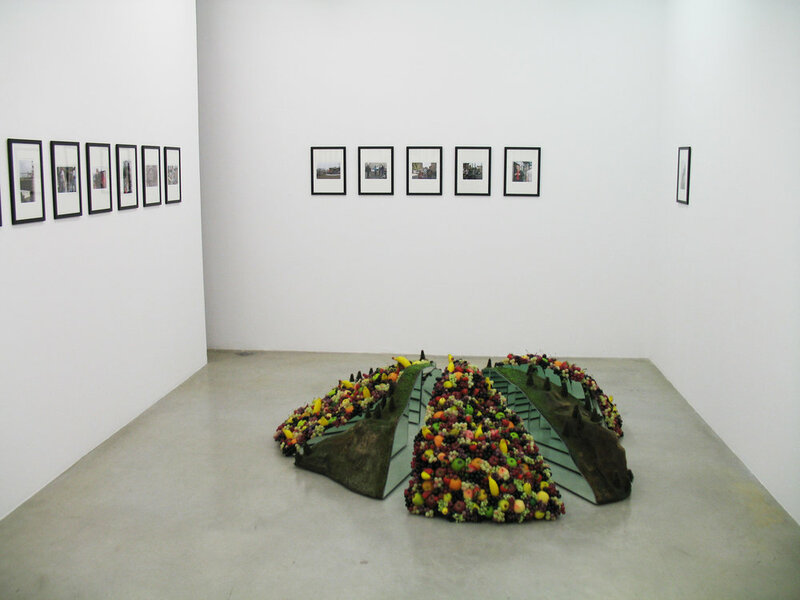 The exhibition in Praz-Delavallade will feature four landscape sculptures and 200 photographs from “The Middle of the Day” series. 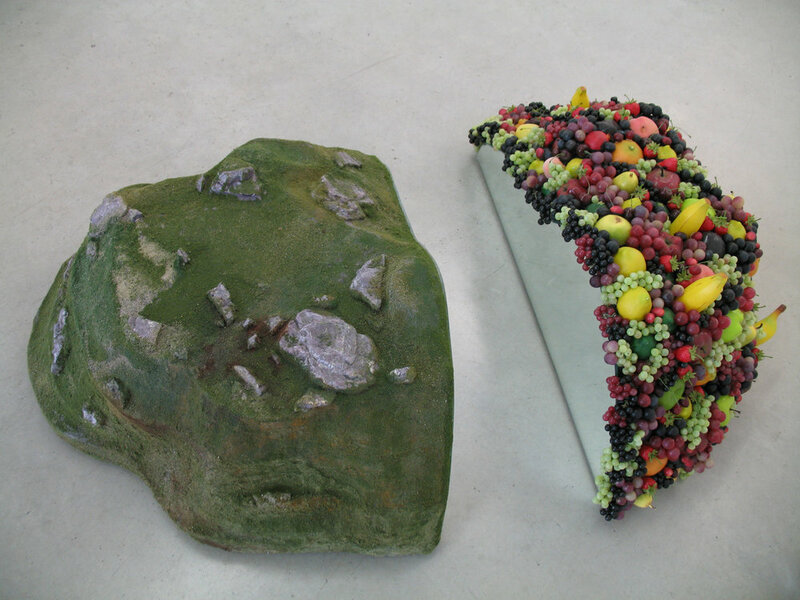 The landscape sculptures belong to a group of works that use the cornucopia -almost always just fruit - as a trope. I see the aggregation of fruit as a displacement of the brown impasto motif I used in earlier work. Although a profusion of fruit is ostensibly bountiful, in some ways I find it more grotesque than a straightforward allusion to excrement. That I use plastic fruit is important too. The utopian promise of the cornucopia contrasts with the dated and tacky aspect of its elements. My approach here is in part inspired by some of Giorgio de Chirico's late still lifes. In these he conflated foreground and middleground space, so the image could be read either as a landscape behind an ordinary fruit arrangement or as giant fruit set within a landscape. Yayoi Kusama’s use of repetitive elements also informs my understanding of the cornucopia as a kind of obliteration. Clearly, the landscape sculptures are allegorical. Appearances to the contrary, the photographs are no less so. In my installation, the viewer will be able to read these scenes both into and out of the sculpted landscapes.